In two recent opinions, the U.S. Supreme Court handed victory to veteran-owned small businesses under the “Rule of Two” process, as well as whistleblowers under the False Claims Act (“FCA”). Both opinions represent a significant victory for veteran-owned small businesses and FCA whistleblowers alike. 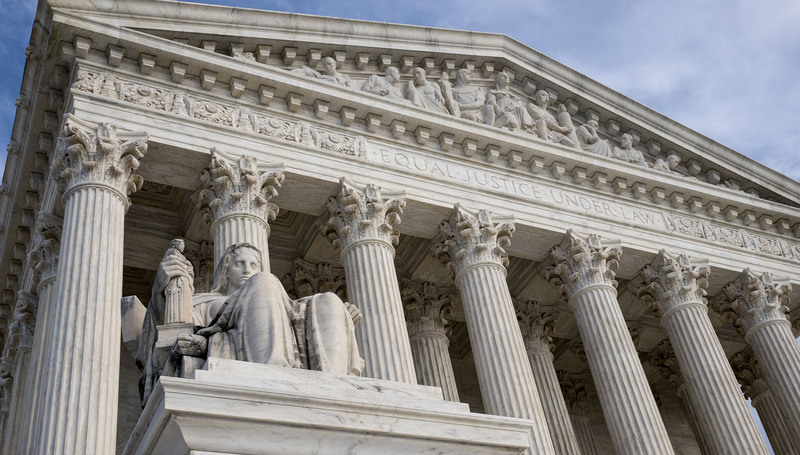 The Supreme Court’s opinions follow the recent general trend to provider greater protection for whistleblowers or those complaining of government wrongdoing. The first case, Kingdomware Technologies, Inc. v. United States, required the Supreme Court to weigh in on the whether federal agencies are doing enough to assure that government contracts are awarded to businesses owned by military veterans, especially those veterans that were wounded during their service. Specifically, the case required the Supreme Court to examine various provisions of the Veterans Benefits, Health Care, and Information Technology Act of 2006. In 2006, after becoming frustrated by the little success it had in getting federal agencies to give work to businesses owned by veterans, Congress passed the Veterans Benefits, Health Care, and Information Technology Act of 2006. The Act requires the Secretary of Veteran Affairs to set annual goals for contracting with service-disabled and other veteran-owned small businesses. In order to help government agencies reach those goals, a separate set-aside provision known as the “Rule of Two” provides that a contracting officer “shall award contracts” by restricting competition to veteran-owned small businesses if the officer reasonably expects that at least two such businesses will submit offers and that “the award can be made at a fair and reasonable price that offers best value to the United States.” However, two exceptions to the “Rule of Two” provide that a contracting officer “may” use noncompetitive and sole-source contracts for contracts below specific dollar amounts. In 2012, the Department of Veteran Affairs procured an Emergency Notification Service for four medical centers for a one-year period, with an option to extend the agreement for two more, from a non-veteran-owned business. The Department did so through the Federal Supply Schedule (“FSS”), a quick and efficient process that allows government agencies to acquire particular goods and services under prenegotiated terms. After the initial year, the Department exercised its option for an additional year, and the agreement ended in 2013. In response to the Department’s efforts procure the aforementioned services, Kingdomware Technologies, Inc. filed a bid protest with the Government Accountability Office (“GAO”), alleging the Department procured multiple contracts through the FSS without employing the “Rule of Two.” The GAO concluded that the Department’s actions were unlawful. Even still, the Department declined to follow the GAO’s non-binding recommendation, which resulted in Kingdomware filing the instant suit. By its lawsuit, Kingdomware sought both declaratory and injunctive relief. The Court of Federal Claims granted summary judgment to the government, and the Federal Circuit affirmed, holding that the Department was only required to apply the “Rule of Two” when necessary to satisfy its annual goals. Kingdomware subsequently appealed their case to the U.S. Supreme Court. Before reaching the merits of Kingdomware’s case, the Supreme Court first addressed whether it had jurisdiction to hear the case. There, the Supreme Court recognized that, while no court is capable of granting petitioner the relief it initially sought in its Complaint, the controversy is one that is “‘capable of repetition, yet evading review.’” Thus, the Supreme Court concluded it could hear the case because it was reasonable to expect that the government would refuse to apply the “Rule of Two” in a future bid by Kingdomware. Its text requires the Department to apply the Rule of Two to all contracting determinations and to award contracts to veteran-owned small businesses. The Act does not allow the Department to evade the Rule of Two on the ground that it has already met its contracting goals or on the ground that the Department has placed an order through the FSS. Further, the Supreme Court said it was unpersuaded by alternate readings of the Act’s requirements. Thus, following the Supreme Court’s decision in Kingdomware Technologies, Inc., the Department of Veterans Affairs will be required to apply the “Rule of Two” as it relates to any and all of the Department’s contracting decisions. The second recent case decided by the Supreme Court, Universal Health Services v. United States ex rel. Escobar, asked the Court to determine whether a claim submitted to the government is actionably “false or fraudulent” under the so-called “implied certification” theory of falsity as it applies to the FCA. Under the “implied certification” theory, adopted by most though not all of the courts of appeals, any submission for payment to the government includes an implicit certification that the contractor has complied with all applicable contract requirements (that is, applicable laws, regulations, and contract provisions). If the contractor’s performance under the contract breached applicable regulations or contract terms, then the claim for payment is, under the implied certification theory, “false” for purposes of the FCA. In Universal Health Services, Yarushka Rivera, a teenage beneficiary of Massachusetts’ Medicaid program, received counseling for several years at Arbour Counseling Services, a satellite mental health facility owned by Universal Health Services, Inc. Ms. Rivera had an adverse reaction to a medication that purported doctor at Arbour prescribed to her. Unfortunately, Ms. Rivera’s condition worsened, and she ultimately passed away. Ms. Rivera’s parents subsequently discovered that very few Arbour employees were in fact actually licensed to provide mental health counseling or authorized to prescribe medications or offer counseling services without supervision. The lower district court granted a motion to dismiss filed by Universal Health Services, holding that Ms. Rivera’s parents had failed to state a claim under the “implied false certification” theory of liability because none of the regulations violated by Arbour was a condition of payment. The First Circuit reversed in relevant part, holding that every submission of a claim implicitly represents compliance with relevant regulations, and that any undisclosed violation of a precondition of payment (whether or not expressly identified as such) renders a claim “false or fraudulent.” The First Circuit further held that the regulations themselves provided conclusive evidence that compliance was a material condition of payment because the regulations expressly required facilities to adequately supervise staff as a condition of payment. Universal Health Services appealed the First Circuit’s decision to the U.S. Supreme Court. The Supreme Court’s opinion held that the implied false certification theory can serve as a basis for FCA liability when a defendant submitting a claim makes specific representations about the goods or services provided, but fails to disclose noncompliance with material statutory, regulatory, or contractual requirements that make those representations misleading with respect to those goods or services. Specifically, the Supreme Court found that the FCA does not define a “false” or “fraudulent” claim, and that, under the common law definition of fraud, the parties agreed that certain misrepresentations by omission can give rise to FCA liability. Ultimately, the Supreme Court concluded that the claims at issue may be actionable because they do more than merely demand payment; they fall squarely within the rule that representations that state the truth only so far as it goes, while omitting critical qualifying information, can be actionable misrepresentations. The Supreme Court next turned to Universal Health Service’s contention that FCA liability for failing to disclose violations of legal requirements turns on whether those requirements were expressly designated as conditions of payment. The Supreme Court rejected these contentions, holding that “false or fraudulent claim[s]” under the FCA are not limited to misrepresentations about express conditions of payment. However, the Court further held that a misrepresentation about compliance with a statutory, regulatory, or contractual requirement must be material to the Government’s payment decision in order to be actionable under the FCA. While the Supreme Court’s opinion settled the debate as to whether omissions count the same as outright misrepresentations in imposing liability under the FCA, the Court remanded the case for a determination of whether respondents have sufficiently pleaded a FCA violation consistent with the instant opinion. The aforementioned opinions are significant victories for veteran-owned small businesses and FCA whistleblowers for differing reasons, and signal the ongoing protection efforts by the federal government and courts as it relates to whistleblowers in general. As a result, if you or someone you know is the owner of a veteran-owned small business, or are aware of potential FCA violations, please contact our whistleblower attorney team for a consultation. Our whistleblower attorney team can be reached via email at kporter@chrisjen.com, or by phone at 801-323-5000, or through our contact form. Additionally, Christensen & Jensen offers government contracting services, including contracting on behalf of disabled veterans.